Welcome to NorState Insurance Services! 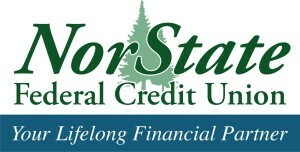 NorState Insurance Services is your Credit Union Service Organization (CUSO) dedicated to delivering the lowest cost, highest quality auto, home and specialty insurance policies to YOU; a member of NorState Federal Credit Union. Founded in 2002, NorState Insurance Services was created to leverage the buying power of your credit union membership to seek co-operative insurance purchasing opportunities for personal and business insurance needs. Our goal is to get the very best prices, coverage and service affordable to NorState members. NorState Federal Credit Union chose the F. A. Peabody Company as its servicing agency for their broad selection of insurers with special discount programs. F. A. Peabody (FAPCO) has been providing insurance in Maine for over 80 years and represents over twenty of the finest insurance companies in the state of Maine. Through FAPCO, NorState delivers discounted auto, home and specialty insurance to its members while keeping your service as close to home as possible. The NorState Insurance Service Center is located in Caribou, Maine. You can also stop by any of the credit union’s 6 locations to inquire about affordable insurance services. Whether you’re looking for car or home insurance or coverage for your snowmobile or boat or business, let NorState Insurance Services bring the power of your credit union to you. Call today or fill out the information request form and a representative of Norstate Insurance Services/FAPCO will be in touch with you shortly.